Here is your A/W military wardrobe sorted! This season, it's all about khaki green, black, gold and stud detail! 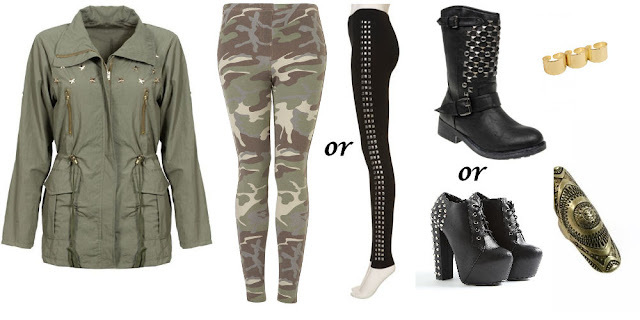 Mix up the look with heels or flats and choose between real army leggings or a stylish studded pair!